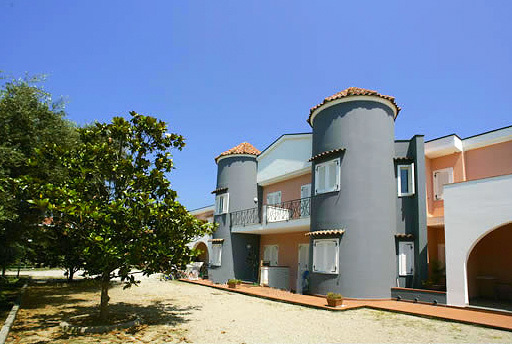 A green oasis in the middle of Marina di Casal Velino and just 300 meters to the kilometers long sandy beach! 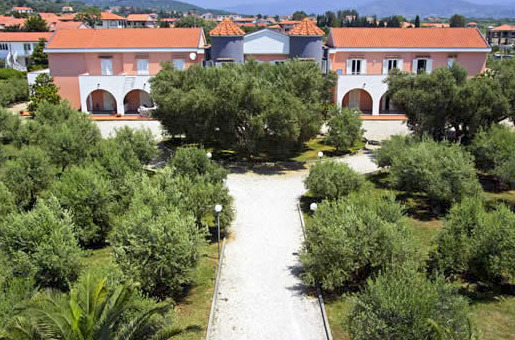 The Domus Olearia lies amidst a 4000 sq large park terrain, with Olive trees that are partly 400 years old. 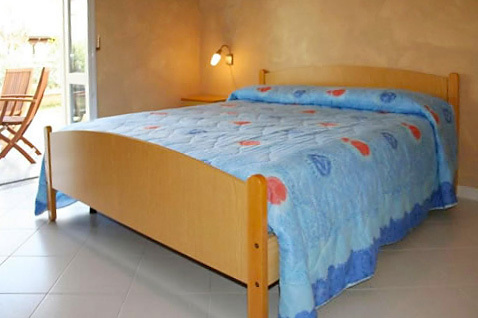 It is a quiet, family oriented vacation structure that offers comfort and a diversified vacation between relaxing at the beach and in the park and sports activities. The enclosed park structure guarantees your privacy and tranquility even during the busy main season. The house offers, as a special service, besides the German, English and Italian guidance, also free mountain bikes for its guests. 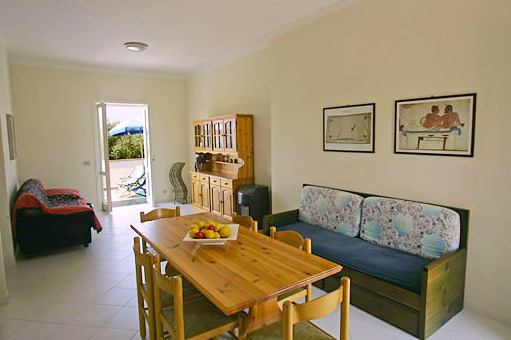 The modern estate offers ten spacious and comfortable apartments. 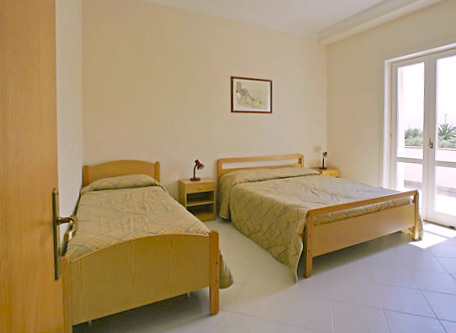 The 48 sqm – 128 sqm large apartments include 2 – 4 bedrooms, for a maximum of 4 – 10 people. 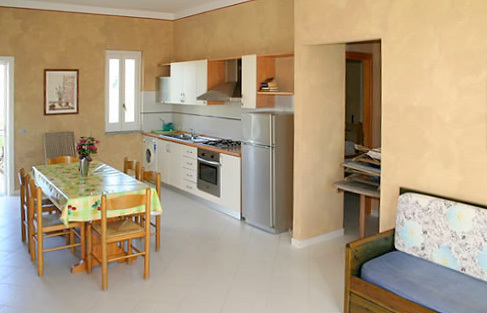 All apartments include complete furnished kitchen or dinning room/ kitchens and modern bathrooms with shower and washers. 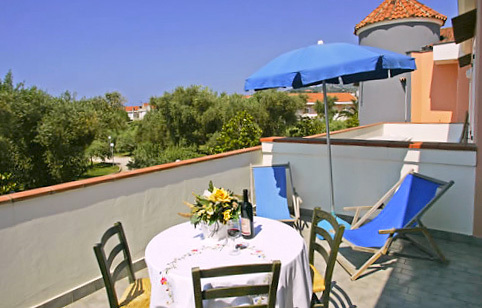 Under shade spending arcades, each apartment has its own large balcony or patio with garden furniture. 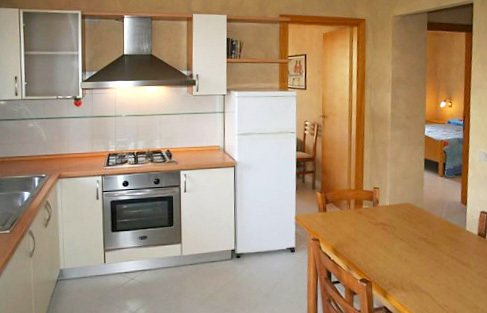 All apartments are lovely equipped with wooden furniture. On the enclosed terrain are parking spaces and exterior showers. 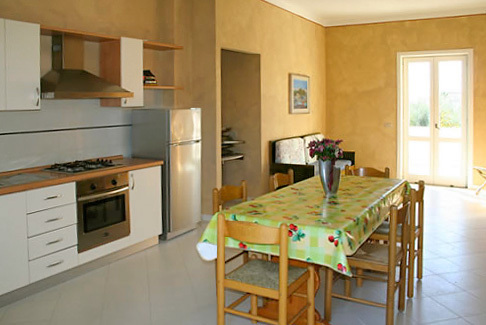 You can reach the ”Domus Olearia” easily with your car via a resident street. Ristoranti, Cafés and stores of the village and the long sandy beach with its beautiful lungomare can be easily reached within minutes by foot. 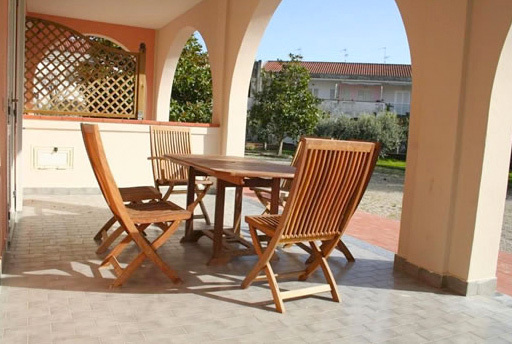 Since the guest will also havethe availability ofbicycles, the ”Domus Olearia” is appropriate for vacationers even without a car. 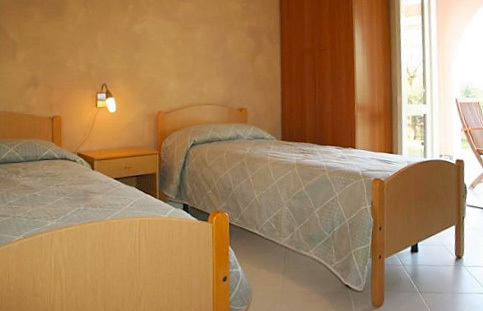 The Domus Olearia All apartments of the The Domus Olearia are rented fully furnished with linens and towels. Im Keller befindet sich die gemeinschaftlich genutzte Waschküche (5 Waschmaschinen und 2 Trockner). 2 € je Wasch- bzw. Trockengang. For each apartment is available a mountainbike.